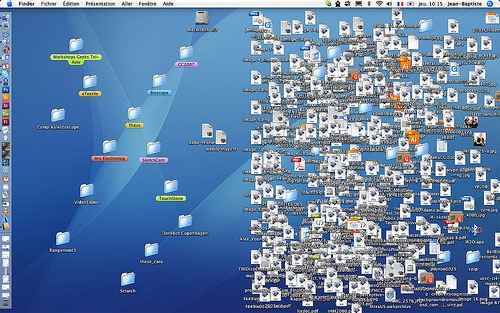 Having too many files and folders on your desktop can slowdown your machine. Put these files into folders in your home directory and create aliases to them on the desktop. Preference files can easily become corrupt and can make programs act weird or run slowly. If your Mac is slow using a particular application you can try deleting its preference file and relaunching he app (applications create a new file when they are relaunched if they can’t find an existing one). It’s worth making a backup of the old file just i case you lose some settings that are hard to replicate. Smart playlists can make iTunes slower as they have to reload every time iTunes is launched. Disable live updating by going to File, Edit Smart Playlist and untick Live Updating. Each Widget on your Dashboard uses memory, again you can check the memory usage of your widgets by using the Activity Monitor. Remove any used or memory hogging widgets using the Dashboard control panel. It doesn’t hurt to regularly clear out built up Caches, Log files and Temporary Items an easy way to do this is to use an application like OnyX. If you prefer you can delete Caches manually, they can be found in Home/Library/Cache. Using the wrong Firmware can cause all sorts of problems, keeping your software up to date on a Mac is so easy there is really no excuse. Just click on Software Update in the Apple menu. You can also schedule your Mac to automatically check for updates, go to System Preferences and Software Update and tick Check for updates. You can change the frequency of the checks using the drop down menu. Software can only take you so far. 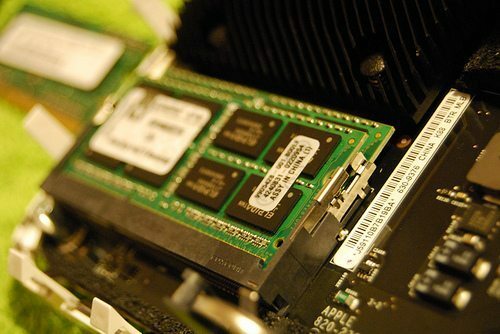 Upgrading your RAM will probably give you the biggest speed increase out of any of these tips. You can use the Activity Monitor application (under Utilities in the Application folder) to check if your Mac would benefit from more RAM. Click on System Memory tab and have a look at the pie chart at the bottom. If the chart is largely red or orange you are running out of RAM. Also take a look at the Page Ins and Outs numbers, if these are continually increasing, its time to upgrade your RAM. Some issues with applications loading slowly or acting weird can be remedied by repairing permissions. 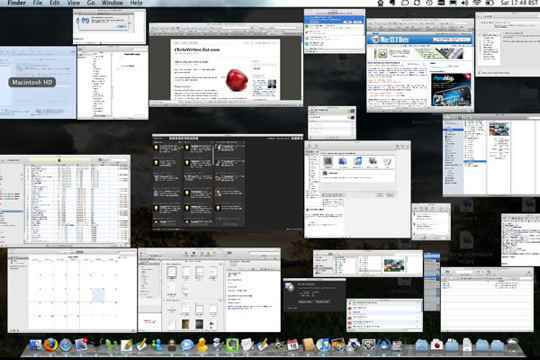 All files in Mac Os X have a set of permissions, these determine which users or applications can have access to them. Sometimes permissions are incorrect and not what the operating system expects. To repair disk permissions you can use the Disk Utility app (in /Applications/Utilities). Select your startup disk and click th First Aid tab, then click the Repair Disk Permissions button. Your Mac automatically utilizes free space on your Hard drive as Virtual Memory to free up the RAM. Try to make sure you have 10% free space available for this task. Removing unwanted or little used programs from your login items. To change your login items go to System Preferences then Accounts and click the Login Items tab. Clearing out unused preference panes can help free up memory and disk space, check under Other in System Preferences to see what you can remove. You can either disable it in its menu or delete it entirely by removing it from ~/Library/PreferencePanes. All running applications use up your memory and CPU resources, quit applications if you are not going to use them for a while. Some programs have memory leakage issues which means they tend to consume more and more memory the longer they are running (again you can spot these in the Activity Monitor) it a a good idea to quit and relaunch these every so often. Animated or slide show wallpaper can really impact the performance of your machine so its a good idea to turn this off. There are loads of awesome Firefox extensions so its easy to get carried away and add too many. Take a few moments to go through your Add-ons (open Firefox and go to tools then Add-ons) and uninstall any you no longer use. If you are finding your browser slow try clearing the cache and deleting your history. In Safari you do this by going to the main menu and clicking Reset Safari, tick Clear History and Empty the Cache then Reset. In Firefox go to Preferences, Privacy and click the Clear Now button. You may see an improvement in your browsers performance by deleting your cached Favicons, for Safari just delete the files in /Library/Safari/Icons. 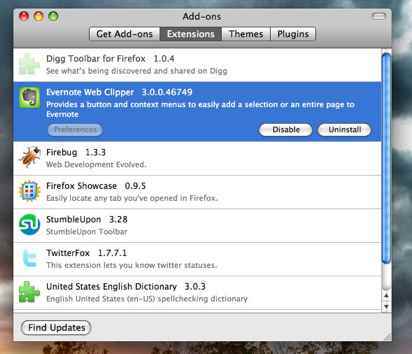 If you use Firefox 3 read this useful tutorial on macosxhints. If you have a massive mailbox with thousands of messages it’s going to take longer to load. Try to delete messages you no longer need and split larger mailboxes into folders.